Wiring. 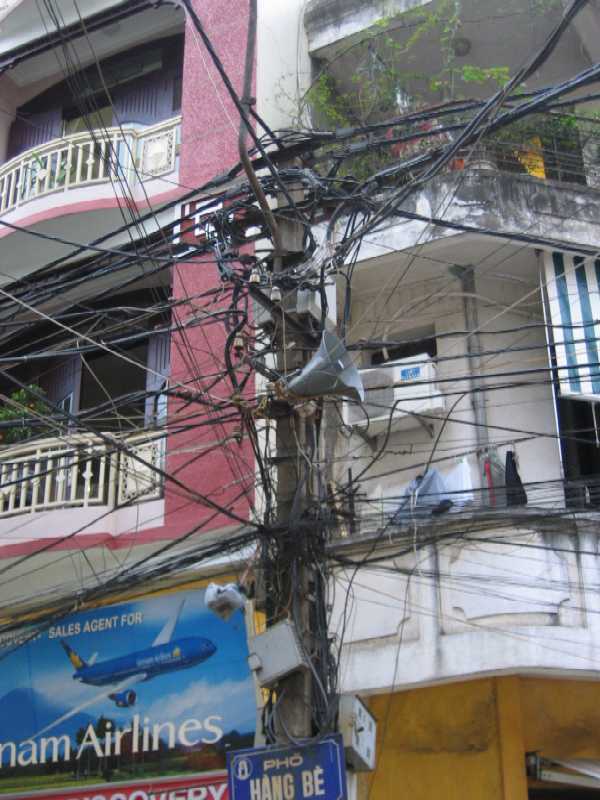 The wiring in Hanoi was atrocious. There were places where you could reach out over your head and grab onto the overhead cabling. At street corners or outside houses there were these poles that contained a quagmire of cables going in every direction imaginable. None of the locals seemed to mind, that was just the way things were. I'm sure that if they sorted this mess out then some of the problems with the local electricity supply would sort themselves out too.